For many homeowners, it’s practically second nature to think about the value home additions can bring to their property. Whether it’s in the form personal value or marketability, knowing just how much you’ll get back can help ease the anxiety that comes with spending copious amounts of cash on a kitchen extension or sunroom. But is there a way to strategically analyze which additions are profitable and which ones are just plain unnecessary? Find out if your home additions can actually propel your property’s market value with these points. Cost-effective placement. What type of home addition should you add? Where will it be installed? How much square footage will it need? Remember that larger areas typically entail larger costs. Most will also entail interior finishes and exterior sidings, not to mention probable excavations. You may even encounter problems with underground pipe systems and soil types, which is why it’s necessary to identify the best placement for the best type of home addition. Location. Different areas have different temperatures; some more extreme than the other. Make sure your home addition can survive your local weather and is, in fact, a pertinent home feature in regards to your area. Utility. Is the addition of use seasonally or all-year round? How much utility can it provide if it’s seasonally used? Outlay versus projected profits. These considerations will all boil down to the outlay and profit you get from the addition. If you invest this much, how much of it will you get back; 50%, 70% or 100%? Will your expenses be worth it vis-à-vis the intended comfort and utility it will provide? Functionality is one of the most important considerations that add value to your property—if not the most. Most home additions are done because they add space, increase comfort, and improve your quality of life overall. For example, this might mean adding an office or study for people who work from home, a sunroom for people who love the outdoors, or a master suite. The completion of your home addition isn’t the end of it; you still have additional monthly bills to pay depending on the type of extension and what utilities they use. For instance, extra rooms mean extending the electrical and HVAC systems. Outdoor kitchens and fountains will mean extending the water supply. Don’t let this aspect derail you too much, though. 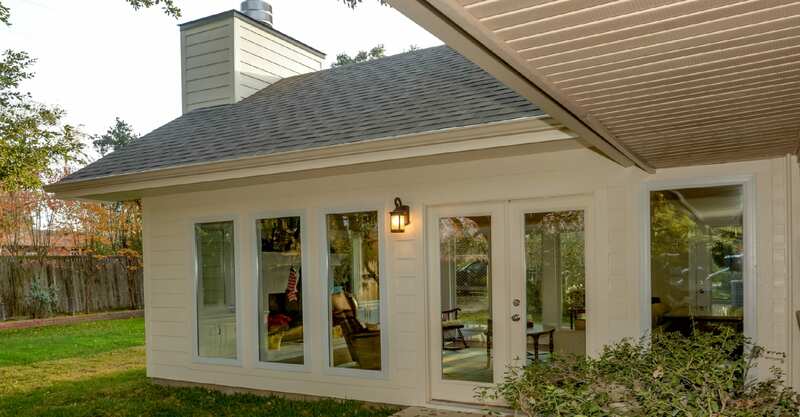 An addition that functions smoothly or offers advanced functionality will definitely add more value to your home. Another important aspect to consider is the maintenance. Is the maintenance cost reasonable or will it be a potential burden? How frequent will the upkeep be? Maintenance is one of the factors most real estate buyers carefully consider when reviewing their options. It’s understandably that scoring a place with fairly affordable upkeep is ideal. Home additions with frequent and costly maintenance are more of a burden than an asset. Of course, we can’t forget the role aesthetics play in bringing value to your home. A home addition that’s visually captivating can increase buyer interest—especially through online listings. Combined with practical amenities, aesthetic additions are sure to boost your property’s market value. Moreover, an addition that enhances the beauty of your home gives a special kind of gratification to homeowners who can attest to the improvement it brings in their daily lives. In a nutshell, home additions can boost your home’s market value, provided they satisfy the above conditions. While additions may cost a significant sum, it’s important that you invest in quality materials and labor. Cutting corners will eventually backfire, costing you more in the long run. And before you start, make sure to run your plans with professional remodeling contractors to ensure an efficient and stunning home addition.